We offer a full range of Jewelry Appraisal services for The Villages, Leesburg and the Ocala areas. If you need a Jewelry Insurance Appraisal, Jewelry Liquidation Value, Jewelry Fair Market, Jewelry Estate Value or just would like to know what you have and how much your jewelry is worth, we can help. Our main office is in Ponte Vedra Beach Florida, but our service is mobile, so we can come to you at a location of your choosing. This typically would be your home or office, your attorneys office or your insurance agents office. Our service is by appointment only and all information is confidential and securely stored for future use. The jewelry examination is done in your presence, and while you wait and watch. You can observe the process and even ask questions as we proceed. The results are very detailed and accepted by all insurance carriers, and could even qualify you for a premium discount from some carriers. When you need to know what your jewelry is worth, it’s very important to use an independent jewelry appraiser, NOT a retail jewelry store or a “we buy gold” store. An independent appraiser does not buy or sell jewelry, so you can get a unbiased opinion. Most retail stores are not specifically trained in jewelry appraisals, are not members of a professional appraisal association, and require you to leave your items for many days for them to attempt the work. If you are considering selling some of your jewelry, never take it to someone who buys jewelry without knowing in advance what you have and what it’s worth. Our Fair Market Value Jewelry Appraisal will provide you with a complete description of your item and a valuation for the second hand market. We can also help you determine what is the best way to sell your jewelry and provide qualified buyers as well. 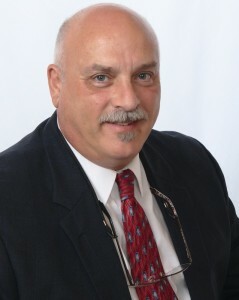 Our senior appraiser is Kevin Carpenter, who has been in the jewelry business for over 43 years. He holds the certifications of GIA Graduate Gemologist, Certified Insurance Appraiser, Certified Gemologist, Registered Jeweler and is a member of the National Association of Jewelry Appraisers, American Society of Appraisers and The Jewelry Appraisers of the World. Expert Jewelry Appraisers LLC also offers a “Jewelry Appraisal Day” event at the offices of: The Villages Insurance Company every few months where you can meet the appraiser and have one item appraised while you watch, and at a reduced fee. Call: The Villages Insurance Agency at: 352-751-6622 to find out the next event date.